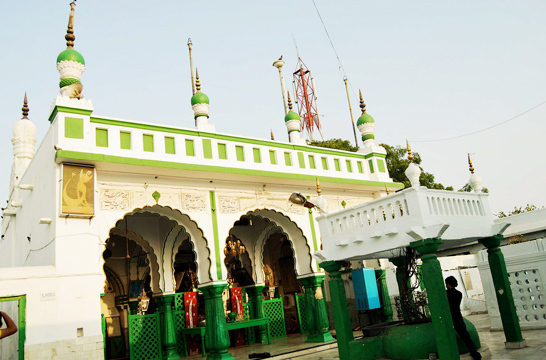 Hazrat Shah Kamal Qadri (R.A) came to India from Baghdad in 928 Hijra and made Kaithal his abode. He was instructed in dreams by Gaus E Azam Sheikh Abdul Qadir Gilani to go to India to obliterate the effects of idol-worship and such non-Islamic customs (which - persisted among Muslims in that area) and replace them by the message of one Allah and His Nabi (SAW). Shah Kamal chose for his preaching and spreading of Islam a place which was under the effect of Kufr and misguidance and where proclaiming the oneness of Allah and preaching the commandments of Allah was an invitation to troubles and difficulties. Kaithal (the place of the monkeys) which, at one time, was the largest Centre dedicated to the worship of Hanuman (the monkey-god), soon became known as Kaithal Sharif the fountainhead of guidance and enlightenment. Shah Kamal was one of the most accomplished Mashaikh.Many miracles and unusual events are connected with him and one of the results of these unusual events was that a great number of people who were going astray were guided towards the true religion of Islam. One of the features of such miraculous happenings is that Allah, through these unusual powers gifted to his special servants, makes the people admit the absolute power of Allah Subhanwataalah. Shah Kamal undertook such great spiritual exercises and became so immersed in the remembrance of Allah that he was practically out of this world, with no inclination to eating or sleeping or meeting people, some times, for months at a time, he would be lost in remembrance of Allah behind the closed door of his room. Many of the wazirs and landowners were devoted to Shah Kamal and were keen on gaining from his associations, but he maintained a distance between himself and the rich, considering the world to be a home of temptation. In Multan among those personages who were his special students and associates, Shah Shakoor, Syed Eisa Bukhari, Sheikh Noor Jamal and Jalal-ud Din Khaggah Multani are noteworthy. After spreading the light of hidayat in Multan, he went to Kamaliya, which got its have from him; the local raja, who was a Kharal rajput, became a muslim. Shah Kamal then proceeded, through Lahore, Ludhiana, Sarhind and Samana, to Kaithal. Innumerable people benefited from his association and teachings and he breathed his last on 28th Jamadi-ul-Akhir 981 Hijrah. 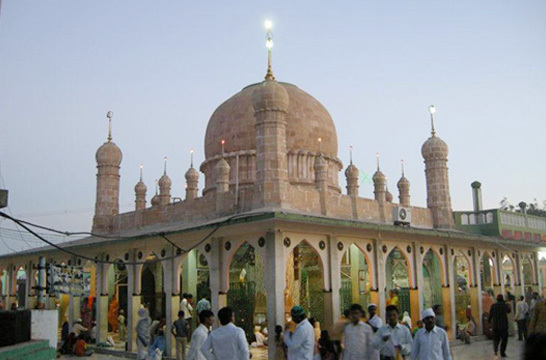 The steadfastness in fulfilling “ the promise” shown by Shah Kamal Qadri produced the result that thousands of irreligious people as well as mushrikeen became true Muslims, and Kaithal attained the status of the Centre of spiritual training where people from all over India came for relieving their spiritual uneasiness and attained spiritual relief and contentment.